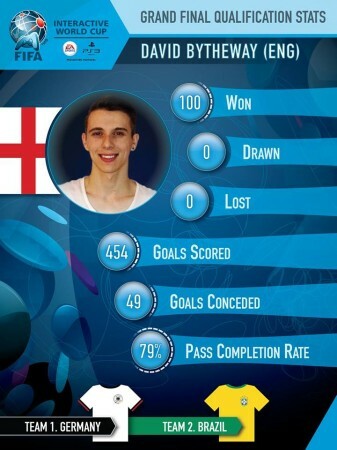 As the the world’s 20 best EA SPORTS™ FIFA 14 players all fly out to Rio de Janeiro for the the FIFA Interactive World Cup 2014 Grand Final on 2nd and 3rd July, we introduce you to some of the key players. We kick off today with the 2 players from England. 2 of England’s top FIFA players have qualified to proudly represent us out in Rio. We bring you some key details here so you get to know the players in advance of this week’s Grand Final. Ty is 21 years old from Redditch in the Midlands and qualified for Rio as the Online Season 1 Runner-up. Ty is a Pro Players for Team Dignitas and you can find here Ty’s full bio for FIWC14 over at FIFA.com. As reported recently in an interview with Wired UK, Ty began playing Fifa in 2003, at just 10 years old, but it wasn’t until Fifa 2011 that he decided to take a shot at qualifying, not long after that he decided to turn pro. Actually it was after winning multiple Fifa tournaments. I was then approached by one of the biggest gaming organisations in the world (Dignitas — no, not that one) who I’m still with today, they then allowed me to travel all over the world and compete at events. Check out the full interview over at Wired UK. (Click on picture of Ty below to watch video). 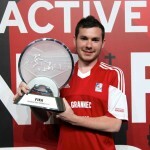 Ty has won a number of UK online and offline FIFA tournaments that we have run and was our FIFA Masters Series league winner last season, losing out in the Grand Final to Sean Allen. He gets a strong thumbs up from us here at Sweetpatch TV as one of the tournaments pre-favourites. Dave is 20 years old from Wolverhampton in the Midlands and qualified for Rio as the Online Season 1 Community Qualifier Winner. 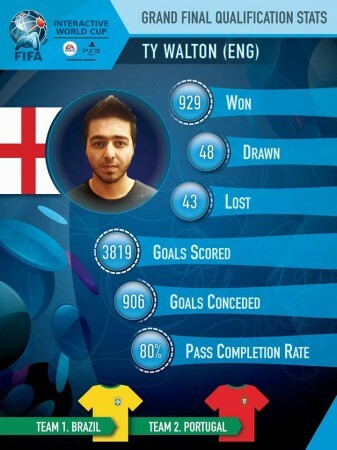 Dave is a Pro Player for TCM Gaming and you can find here Dave’s full bio for FIWC14 over at FIFA.com. Q1 | What are you most looking forward to out in Rio? Too many things to say in one tweet mate. Christ the redeemer, quarter final at the Maracana. Q2 | If you had to pick one or two things, what would they be? Copacabana Beach is up there, hotel is about 30 seconds away. The fan fest should be good as well. We wish Dave the very best of luck out in Rio and hope he has an amazing tournament. The FIFA Interactive Grand Final 2014 will take place in Rio de Janeiro, during the FIFA World Cup Brazil, from 1-4 July. 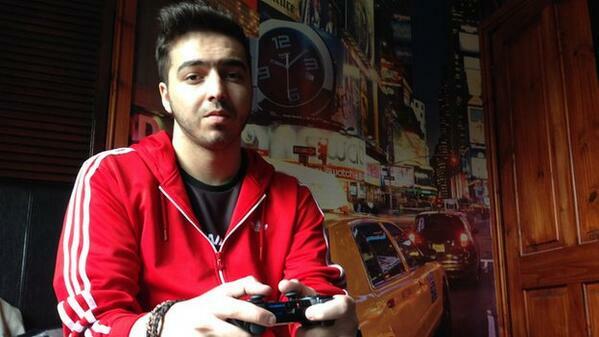 Watch the build up video FIWC Grand Final Is Coming to Brazil. 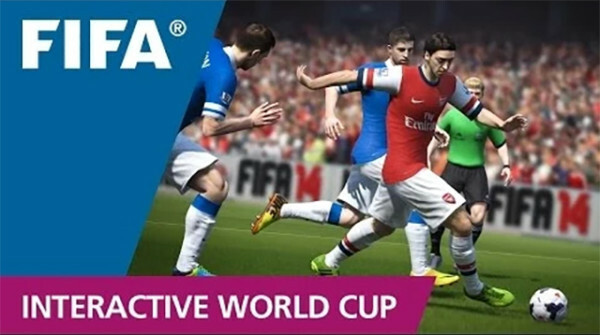 On 1 July, on the eve of the 2014 Grand Final in Rio, the FIWC will hold the tournament draw for the Grand Final. There are five pots, comprising 4 players each. The players will be drawn from the pots into four groups of five players each. 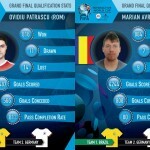 Check out the pots and how the groups progress to the knockout stages at Grand Finalists ranked and ready for 2 July! 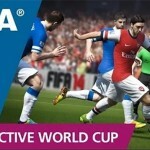 – FIFA.com. In the lead up to the Grand Final we will introduce you to the key players for the two-day tournament.